The economics of how movie theater chains make money are not, it’s fair to say, on the mind of the average Friday night filmgoer. Essentially, the price of your movie ticket is split between the theater itself (or, in most cases, the corporation that owns it) and the studio that’s releasing the movie. While a lot of the chains’ money comes from popcorn and soda sales, what they get from an actual movie ticket is important as well, although that percentage depends a lot on a variety of factors, including how far into its run that particular movie has gone. This means, of course, that when movies succeed, theaters do too, and when the movies don't do so well, theaters suffer too. The latter appears to the issue this summer, judging by the quarterly earnings statement by the parent company of one of America's largest theater chains. AMC Entertainment, which owns the AMC multiplex chain, said Monday that it earned a profit of $24 million in the most recent quarter, down 45 percent from the same period last year. In addition, the chain posted revenue of $764 million, a 7 percent drop. Both were shy of analyst expectations, according to Variety's account of the quarterly earnings release. Why the poor performance at the nation’s second-largest theater chain? 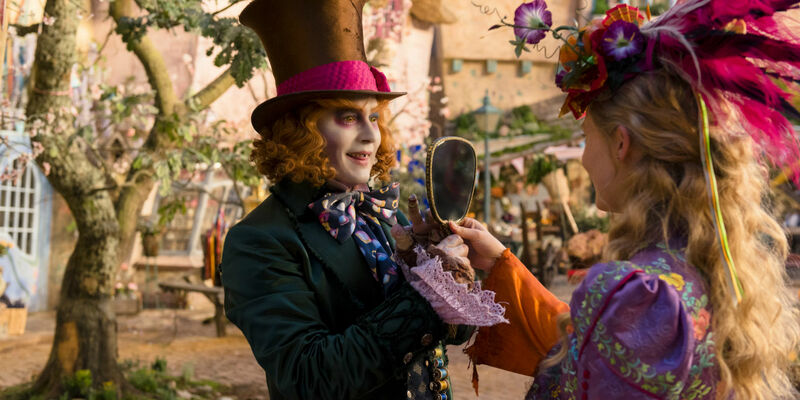 CEO Adam Aron, according to Variety, attributed the performance to a series of movie flops this summer, including Alice Through the Looking Glass and X-Men: Apocalypse. Indeed, receipts this summer are down 10 percent across the board industry-wide, especially after last year's historically strong summer of Jurassic World, Avengers: Age of Ultron and other mega-hits. Is there any reason for everyday filmgoers to panic about this, unless they own stock in AMC? Not really. After all, it's only the performance of one chain, in one quarter, of one year, and while profits may have been down, the chain remains profitable. If you’re worried about multiplexes going out of business and that you'll soon have nowhere to see the latest big movie, fear not. There are plenty of films slated for next summer, from Spider-Man: Homecoming to Alien: Covenant to Transformers: The Last Knight, that stand a good chance to give AMC and other chains a stronger summer quarter in 2017 than 2016. This isn’t to say that the motion picture exhibition industry doesn’t face significant long-term challenges, especially if The Screening Room or another technology like it ever gets off the ground. But for now? Some movie summers are more profitable than others.